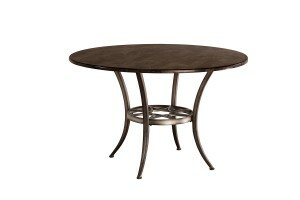 Looking for a modern but Casual Dining Set for your home? 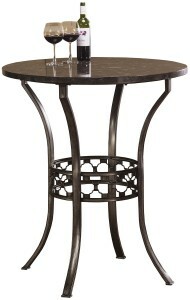 Hillsdale Furniture‘s new dining collections in antique metal and with unique designs are sure to catch your eye. 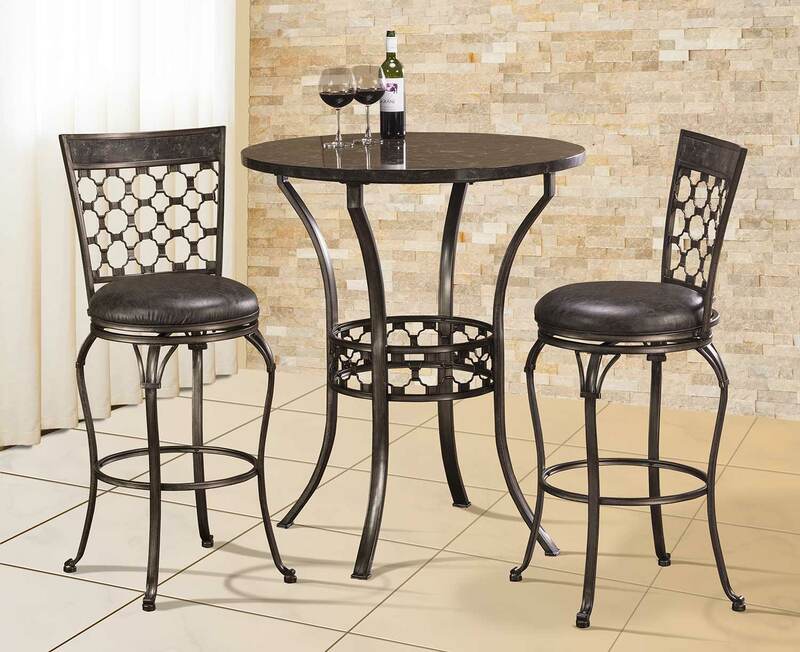 Choose from the Brescello 3 Piece Bar Height Bistro Collection or the Chandler 5 Piece Dining Collection. 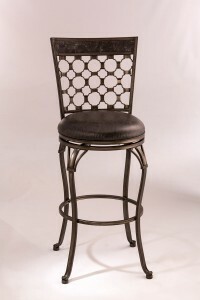 Both collections also offer counter and bar height stools. Dynamic in its geometric detailing, the Brescello Collection is an eye-catching alternative to modern dining spaces. Stylish and airy chain-mail like detailing contrasts, on both the table and the chairs, against a tabletop and panels of dark, tonal blue stone mosaic. Constructed of metal with an antique pewter finish, this collection features a 360 degree swivel stool in the seats. 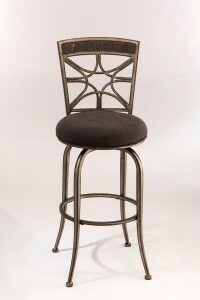 They are available in bar and counter heights and feature a charcoal grey faux leather upholstery. 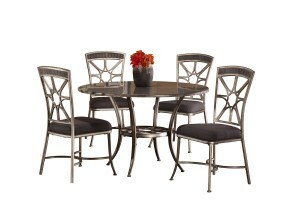 Metallic sunbursts and blue stone detailing are repetitive themes in the classic Chandler Dining Collection. Constructed of metal with a black pewter finish, the table and chairs are marked by dynamic sunburst designs in the backs and table base. Both the round table and chairs feature panels of our fresh, blue stone mosaic material. 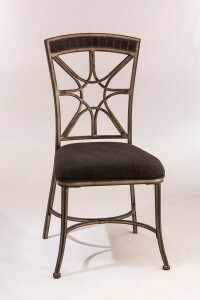 The Chandler Chairs are armless and feature a woven charcoal fabric upholstery. Though dark in finish, the Chandler Stools are a classic sure to light up any room. Constructed of metal in a black pewter finish, the back of these stools feature a dynamic starburst design and a blue stone tiled panel. They also feature a 360 degree swivel seat covered in a woven charcoal fabric, and are available in bar and counter heights.